Eley Metrology's granite metrology standards range has incorporated the expertise of the Crown Windley name to ensure the highest quality products for customers. Our granite metrology standards are hand-lapped by our highly skilled precision engineers in accordance with the specified standards. 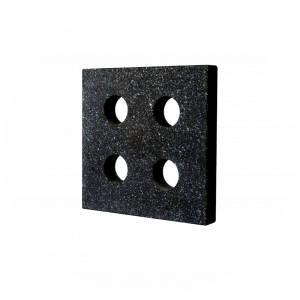 Eley can also recondition your granite standards back to their original specification. Eley Metrology specialises in the manufacture of granite metrology artefacts. This includes several metrology standards, such as parallels, straightedges and box angle plates. Eley also produces granite surface plates and tables to BS 817 (2008). All of the granite manufactured at Eley is hand-lapped in accordance with the specified standard by our highly skilled precision engineers. Different grades are available to suit all budgets and Eley's skilled after sales and service team will ensure the product is up to our high standards. Alongside our standard sizes and specifications, Eley also has the ability to produce special bespoke artefacts, from extra large straightedges and tables to custom fixtures for machines. Service contracts are available on granite artefacts and our engineers are able to come out to site to minimise downtime for your company, or you can send them to our Derby Headquarters to be resurfaced and calibrated in our temperature controlled laboratory. Made from the same high quality granite that our tables are produced from, our precision squares are unrivalled in strength. Hand lapped using diamond by our precision engineers in accordance with BS 939 (2007) to either laboratory (Grade AA) or inspection grade (Grade A). Master squares can be used to for inspecting X, Y and Z axes of machine tools. Checking squareness, straightness and parallelism is also a benefit of precision master squares. 6 finished faces and the ability to produce a square with lifting holes means that Eley Metrology are the number one choice for granite metrology standards with rigorous testing environments and the highest quality granite. 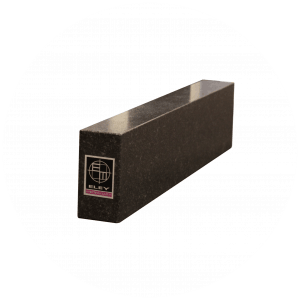 Eley's straight edges are produce from black granite and can be produced with either one or two master faces. Hand finished straight and parallel in accordance with BS 5204 Part 2 (1977) to laboratory (Grade AA) or inspection grade (Grade A), these straight edges can be provided with lifting holes, alongside detachable handles. Master or standard straight edges can be produced dependent upon their usage; the master version is produced with 2 master faces, and the standard with one. These straight edges are parallel on the 1 ½ ” or 2” face. 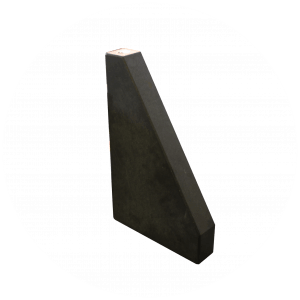 Produced from black granite and hand finished by precision engineers in our laboratory environment to accuracies in line with BS 939 (2007). Also available in laboratory (Grade AA) and inspection (Grade A) grades, Eley's tri-squares have two master faces; finished flat, square and perpendicular. If you’d like more details about our range of Metrology Standards, then our team are available to help.